All the news, links and irrelevance that’s fit to generate via a PHP content management system! Print is dead. Blog: All wings report in! Hey again, group — it’s been a while! After a couple of rough months, I’m really excited to be back behind the drawing board once again. I hope it’s okay if the first few comics back are Waffledog episodes… they’re my favorite to draw! 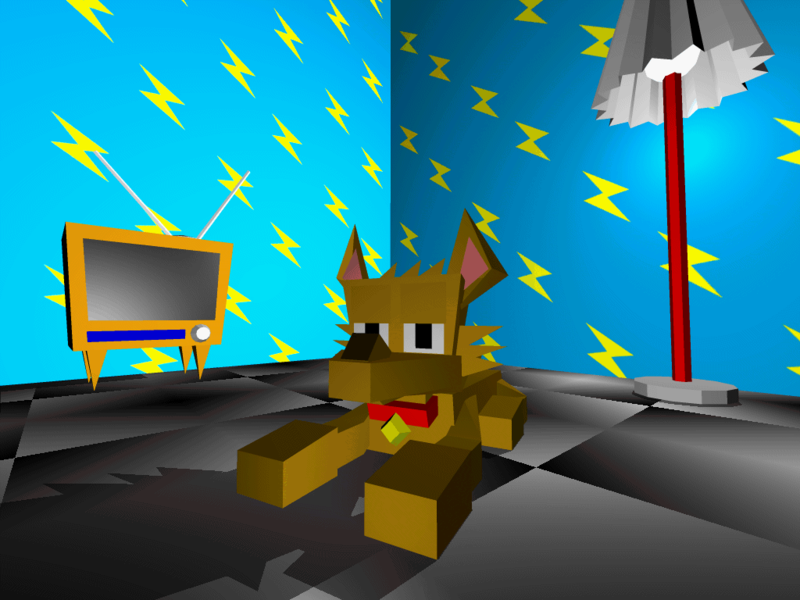 Speaking of Waffles, The Nolans had a pretty rad storyline revolving around our favorite canine wünderdog. Check it out! A toupée-wearing, sophisticated Daniel Q. Dog makes an appearance in the latest Cats in the Kitchen! With a lady friend no less! 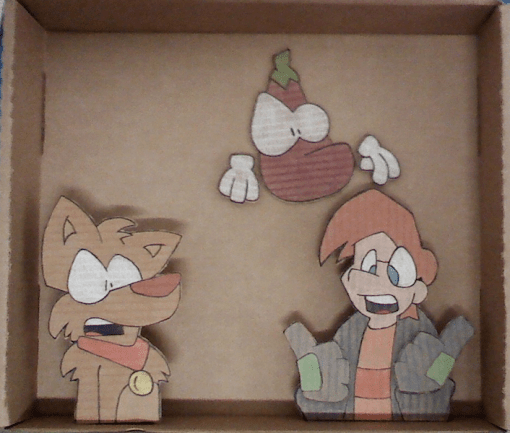 Greg Gillis sent in this flipping awesome piece of cardboard artwork a while back. Very impressive- I’d love to see a whole comic done in this style! Although I don’t know how many pizza deliveries and/or Amazon.com purchases that would take to get the supplies. Two new pieces of fan art? Awesome. 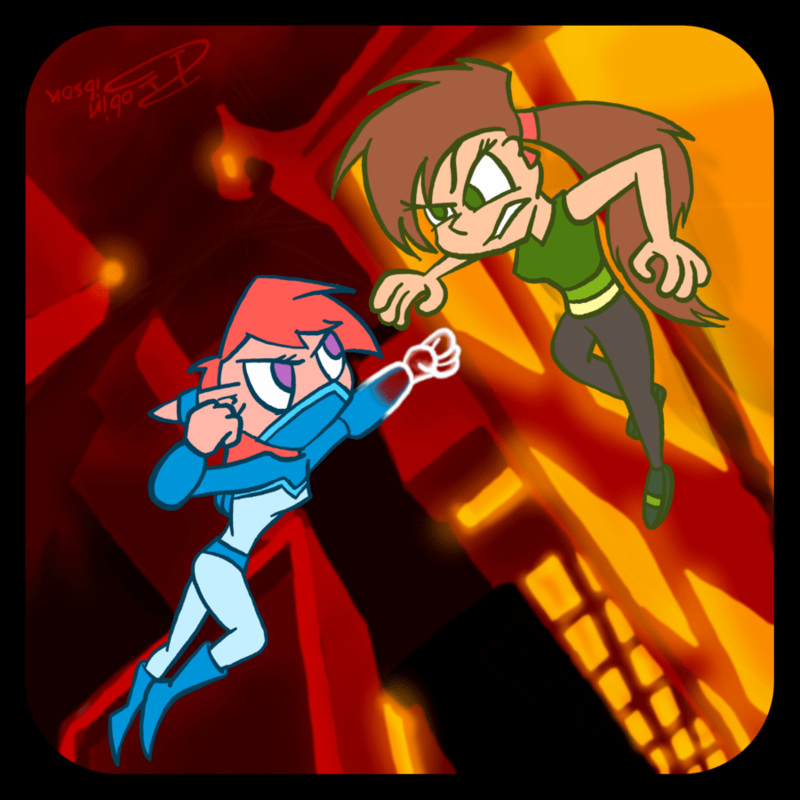 Two pieces of fan art where Breakpoint City characters are about to kick the snot out of each other? MEGA AWESOME. You guys rule. 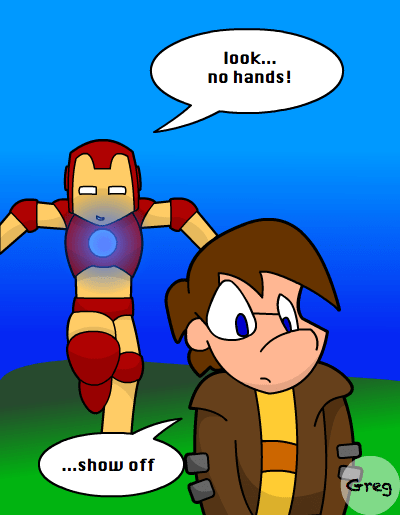 Greg Gillis sends in his version of the ultimate showdown: Ben versus Iron Man! Two electric powered superheros enter… one leav– aw, who am I kidding; Iron Man would wipe the floor with poor Ben. Unless maybe Ben has a light saber bazooka or something hidden off screen there. Meanwhile, the Gallery page got a long overdue update! Now with 100% more thumbnails and shadowbox-type action! I made a huge effort to comb my inbox for every last fan art, cameo or obscure reference sent to me over the past decade. I *THINK* I got them all, but I could be very wrong. Please, leave a comment if you see something that should be added!! Eagle-eyed readers of Cantrip might notice Dan’s appearance in the latest strip… in cardboard cutout form! Neat! Thanks Poinko! The incredible Mizzy, colorist of Darkbolt and co-author of the webcomic Unforgiven, sends along her rendition of Dan. 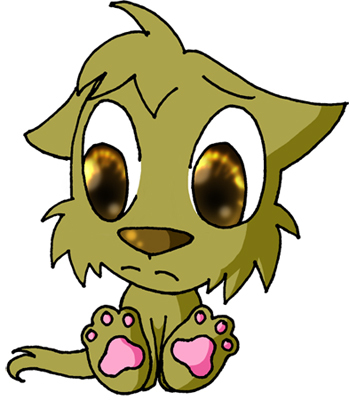 Lookit those cute puppy eyes! That or Dan’s staring right into a supernova. It’s cool either way. It’s that time again. I’m putting a call out for your worst, most miserable, groan-inducing, pun-riddled Halloween jokes for an upcoming comic. Like last year, I’d prefer if they’re brief (it’s gotta fit onto a candy wrapper, see) and they’re kept to question-and-answer puns. No knock-knock jokes, no guy-walks-into-a-bar stuff. Here’s what I’ve used before. If you’d like credit for your joke, I’ll also need a first name and your state and/or country if you’re out of the US. I can’t guarantee I’ll be using every riddle sent to me, but the odds are pretty good. Cutoff date will be October 24, so get those entries in! Peep Jousting. It’s a dangerous game of marshmallow chickens, broken microwaves and a vast amount of post-Easter free time. Reader NeoMikey sends along his video exposé into the dark, underground world of XTRREEM Peep Jousting. Warning: the footage you are about to see may be delicious. I tried it out myself and was slightly disappointed it wasn’t as explosive as the comic promised (they just poke each other, really). However, I knew there was video potential in this “underground sport,” and that’s when I put this video together, which just was uploaded today. I hope you enjoy it! Remember, the first rule of Peep Jousting is OM NOM NOM. Hey cool! 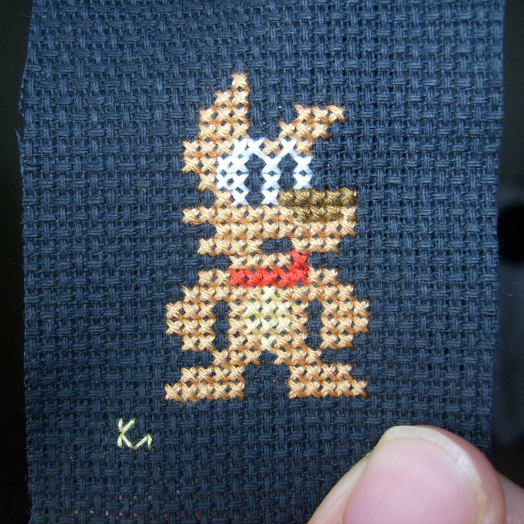 Kevin sent over this pic of pixel Dan, counted cross stitched out in real-world form. Old school meets the real old school! Y’know, I never thought I’d get fan art in a different medium. Throwing down the gauntlet now: if someone wants to attempt a sculpted mashed potato Zaltor, go for it man. I’m a big fan of ThatGuyWithTheGlasses, and by far his greatest stuff comes from his weekly Nostalgia Critic videos. Animation seems to fall within the critic’s crosshairs more often than not, which of course cuts right to my geeky core. It’s great to see stuff like The Pagemaster or Captain Planet get the beatings they truly deserve. And his top 11 lists (he likes to go one step beyond) have introduced me to a few movies I’d otherwise not have known existed. The Critic’s videos are funny, informative, and definitely something to look forward to every Wednesday.